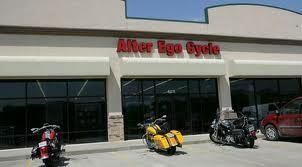 With our doors open for over 4 decades, Alter Ego is the largest privately owned aftermarket motorcycle parts and apparel store in the the Midwest. Family owned and operated since 1973, we are your one stop shop for all makes and models. Kansas City, MO. & Shawnee, KS. Not all items available in store. In stock items will ship within 2 business days.